Cristiano Ronaldo has to be the most disappointed man in the world tonight - he asked for eight, we could only gave only five. They say Real Madrid has the best defensive record in La Liga, boy oh boy they should have waited till this match. The English media somehow and my commentators predicted a comfortable Real Madrin win at Camp Nou, you heard that at Camp Nou. They have no idea of what we really are. 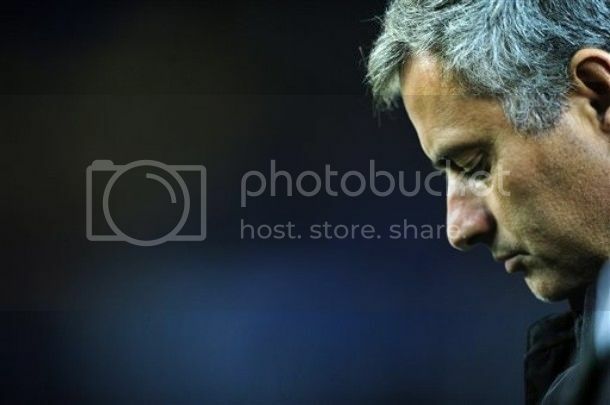 Mourinho did get us out in Champions League last seasonbut they discounted teh fact that overall last season we had a 2-1 record against Mourinho - English arrogance at its best. Real Madrid learned in a bad way that with 250+ million worth of players and a manager who cost almost like another player, they are no match to this Barca side. They say Mourinho is the best, Pellegrini didn't had such a rout last season, a point for thought. On a night when Barca controlled the most hyped side of the world, Villa twice, Xavi, Pedro and Jeffren all scored for Barca. Barca is right now moved to the top of the league, and this is Pep Guardiola 's fifth consecutive victory against the team in white and bloody hell has 100% record against Real Madrid.As expected we roled out with a defense line-up of Alves, Pique, Puyol and Abidal. The midfield had Xavi, Iniesta and Busquets. The attack had the usual trio formation of Messi, Villa and Pedro. HIguain picked up a late injury and Benzema started for Real Madrid. FC Barcelona would be looking to register a fifth consecutive victory against arch rivals Real Madrid when they host Madrid on Monday. 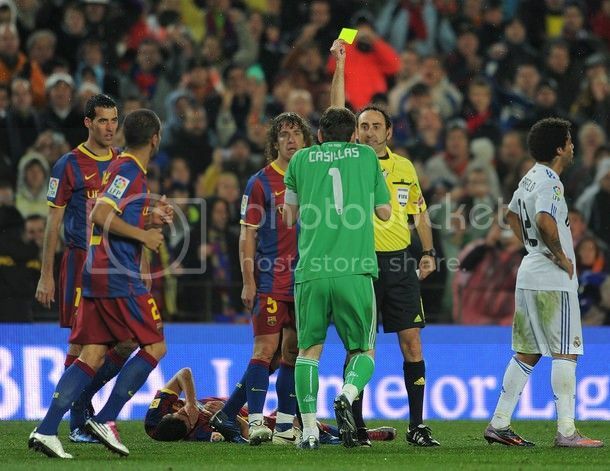 Internet is already buzzing with discussion, debates, puncches and counter punches about El Clasico. Both sides have looked in top form coming into this clash and the match does gives out a promise of lots of goals. FC Barcelona is currently trailing Real Madrid by a point in the table and would be looking to go on top with this match. Guardiola who hasn't lost a single Clasico as a manager would be keen in continuing his winning record. Like last season, La Liga this season would also be decided by what happens in the two Clasico matches and that explains the fixation with these two clashes. FC Barcelona has secured the safe passage to the second round of Champions League with a brilliant 3-0 victory against Greek side Pananathanaikos. This one was a rare away victory for Barca in Europe. I would say that this victory was brilliant than the 8-0 demolishing of Almeria. Messi scored his 150th goal for Barca inbetween a brace by Pedro to secure Barca the top spot in Group D. Guardiola made two changes to the team which murdered Almeria. Adriano came in for Maxwell and Pique in for Fontas. Puyol and Alves completed the defense. The midfield remained the same with Iniesta, Xavi and Mascherano. Messi, Villa and Pedro formed the attacking trio. Ok, FC Barcelona have to deal with Pananthanaikos before even thinking about next Monday's clash against their eternal rivals. The inability to seal the Champions Laegue qualification by now could come to hurt us still. Anyone can pick an injury in that match, where you cannot blame the players if they are a bit unfocussed. Real Madrid, who has already secured their place in next round can afford to stay focussed for the big clash on Monday. That was precisely why I went mad when Milan conceded their lead in the dying minutes at San Siro. How we will line up in Greece is still not sure, but I believe we will still have a quite strong line-up on the pitch. Guardiola don't want a scenario where we have to go to Russia and secure the qualification. In that sense, Clasico happening in Monday is not a bad thing as we will get atleast one extra day to recover. FC Barcelona registered their biggest victory so far this season, with a 8-0 victory over Almeria. This victory it is a great way to prepare for the Clasico which will be held on next Monday. This also equals our biggest victory record away from home. 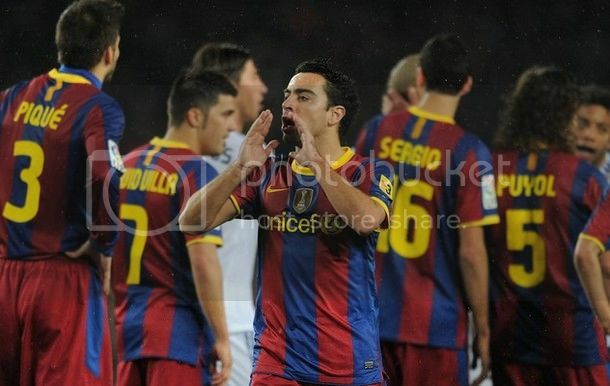 Messi scored thrice, Bojan twice and Pedro, Iniesta plus an unfortunate own goal completed the tally for FC Barcelona. Almeira came out with the decision to stay deep and defend deep. That proved to be a big mistake. Guardiola decided not to take any ridk with Pique as he could get himself suspended for the Clasico. That gave Andreu Fontas a rare start in La Liga. 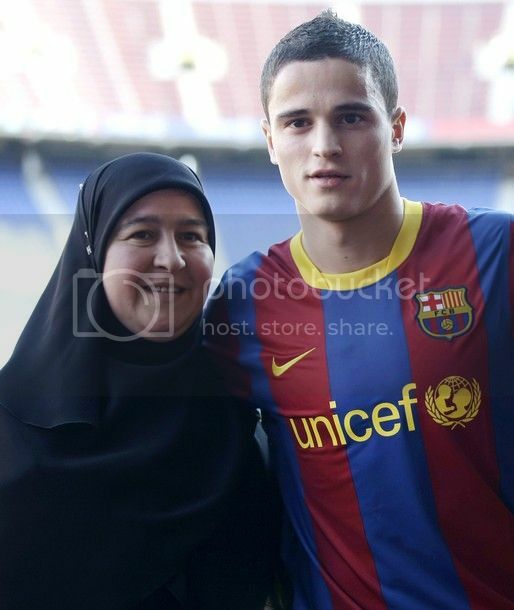 He partnered Puyol at the centre of the defense with Maxwell and Alves as full-back. Iniesta, Mascherano and Xavi formed the midfield. The attacking trio remained unchanged with Messi, Villa and Pedro. The Copa Del Rey draw were made today and Athletci Bilbao will be FC Barcelona's opponent in the next round. There was no seeding alloted for the draw and the possibility of drawing Real Madrid was always there. Real Madrid will be facing Levante in the next round and a Barca-Madrid final is a real possibility. The entire draw is Valencia-Vilarreal, Barça-Athletic Club, Cordoba-Deportivo, Betis-Getafe, Almeria-Mallorca, Seville - Malaga, Madrid-Levante and Atlético-Espanyol. This is especially for Leonardo. FC Barcelona moved to the top of La Liga table with a comfortable 3-1 win against thrid placed Villareal. Two goals from Messi and one from Villa was enough to see off the challenge from posed by the team in Yellow. Real Madrid will play only tomorrow and that means we could remain in te top for close to 24 hours. Billed as the clash of Titans, the match did live upto its billing especially in the first half. But second half saw Barca taking full control and shut the door firmly on VillarealAS I wrote in my preview, Puyol and Abidal partnered in the centre of defense with Alves and Maxwell as full back. The midfield had the best possible combination with Xavi, Iniesta and Busquets. Messi, Pedro and Villa formed the attacking trio. Defensive worries would be troubling Guardiola while he prepares his team to face the stern challenge of Villareal. With Milito being ruled out for six weeks and Pique being suspended, Guardiola has to turn to a make shift defense for facing a high flying Villareal team. Villareal currently lies in third place and could provide Barca with their toughest test since the start of the season. 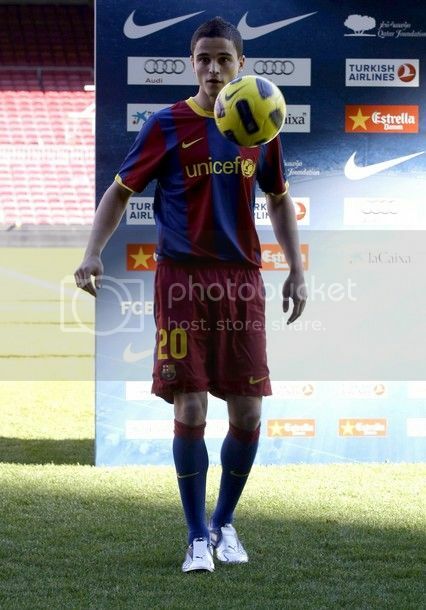 There are rumours of Marc Batra partnering Puyol in defense. 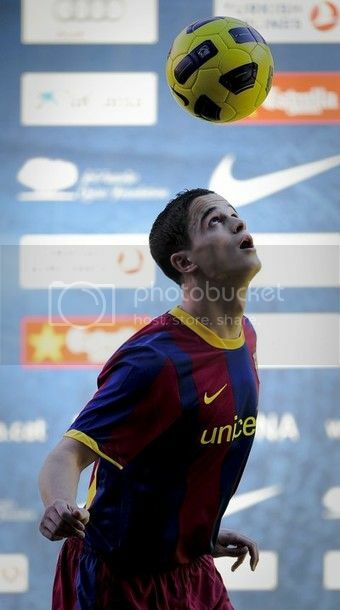 Honestly against a team like Villareal, Guardiol is not going to do that. 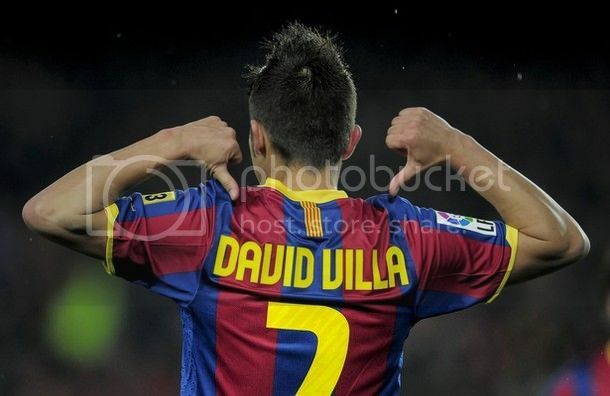 He may still get a start against Almeria, but not against Villareal. That could be suicidal. With Chygrinskiy and Toure shipped out and Caceres loned out, Abidal is the only choice left to join Puyol. Abidal has played a couple of times at centre back in the start of season. His lack of positioning has caused numerous trouble in those matches and could once again be exposed tomorrow night. Loaning out Caceres now proves to be a very stupid decision as we have no proper back up for situation like this. Guardiola did point that the reinforcement could come from the B team but has never shown courage to nurture thos kids till now. Three seasons ago, a visit to Getafe was quite difficult. But tonight's easy 3-1 victory has officially confirmed that those times have changed. FC Barcelona started the game in the third gear and stayed in that for almost entire first half and even lowered it a notch down in second half, still Getafe didn't have any decent chance of springing a surprise. Goals from Messi, Villa and Pedro was enough for Barca to wrap all three points, eventhough they made their life difficult by taking the focus away from the game. Guardiola started with his usual defense of Maxwell, Puyol, Pique and Alves. The midfield saw Mascherano pairing Xavi and Iniesta. Messi started in middle flanked by Pedro and Villa on right and left respectively.